2010, 66 minutes, color, sound, video. 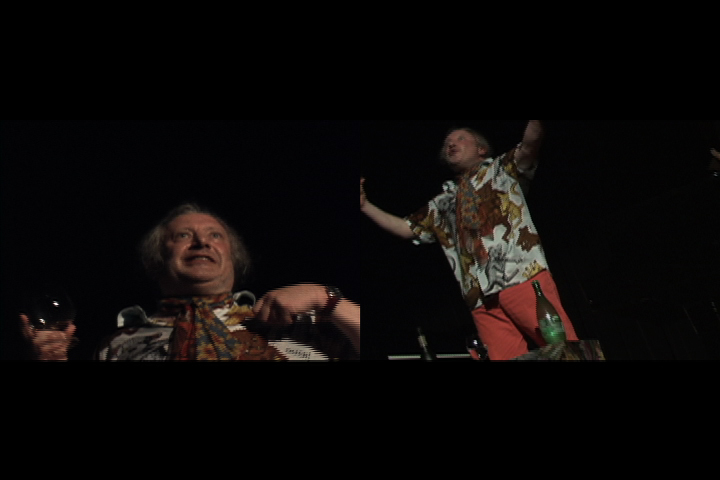 In 2006 legendary composer/performer and raconteur Charlemagne Palestine appeared in Boston for the first time in over 30 years. 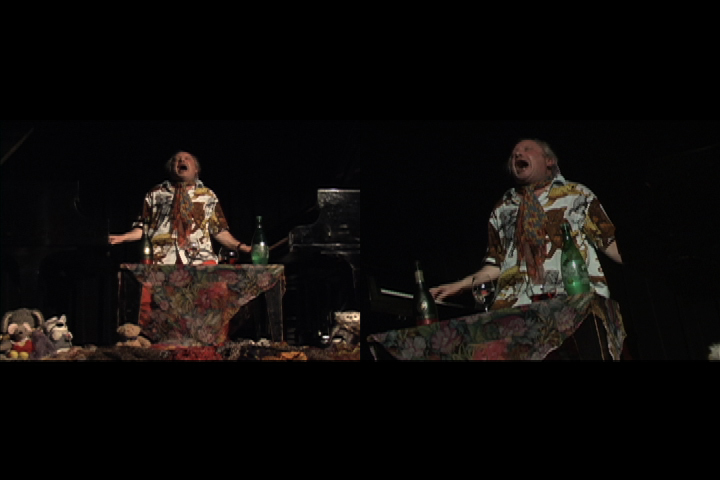 On a stage festooned with teddy bears he told tales about Morton Feldman, imbibed cognac and simultaneously performed on two Steinway pianos. Andrew Lampert and Saul Levine ran into each other in the New England Conservatory lobby, each with video camera serendipitously in hand. Lampert took a seat in the front row on the left side of the aisle while Levine sat in the front row on the right. They both documented the performance in its entirety, each unaware of what the other one was focusing on. The Golden Mean is a stereo-vision portrait of the highly energetic, iconoclastic Palestine that presents Lampert and Levine's footage side-by-side. A hysterical and bewildering musical moment captured by pure providence and presented here for you.